…Placing PACE in the top 2% of Staffing Agencies NATIONWIDE! 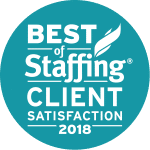 BELLEVUE, Wash., Feb. 21, 2018 (GLOBE NEWSWIRE) — PACE Staffing Network, a leading Northwest staffing agency announced today that they have won Inavero’s Best of Staffing® Client Award , based on ratings provided by their employer clients. 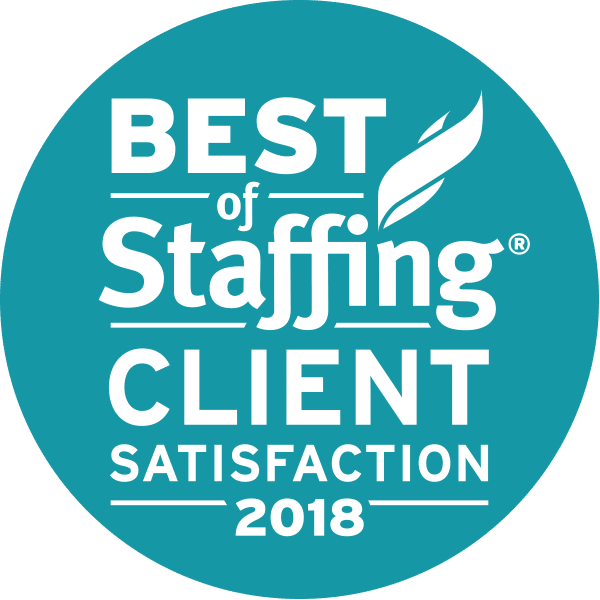 Inavero research shows that on average, clients of Best of Staffing winners are 2.3 times more likely to earn “completely satisfied” ratings from their clients compared to ratings earned from non-winning agencies. Using their proprietary job and employee profiling and matching process, PACE has been providing world class recruiting services for Pacific Northwest employers for over 40 years and has been a Best of Staffing winner for the last two years. In 2018, PACE achieved satisfaction ratings of 9 or 10 (out of 10) from over 90% of their employer clients, significantly higher than the industry’s average of 32%. Their Net Promoter score (for readers familiar with NPS scoring) was 85.4, placing PACE in the elite category of service organizations! “Our team works hard to make a difference to our customer’s staffing outcomes and couldn’t be more excited by this year’s results!” Jeanne Knutzen, Founder and CEO said. The PACE Staffing Network has been the gold standard for the Pacific Northwest staffing industry since 1975! PACE’s clients include a variety of small to large Northwest employers and PACE has been providing full service recruiting support for employers in need of temporary, contract or direct hire staff for over 40 years. PACE’s signature approach of utilizing a network of agency partners who in aggregate ensure employers have access to the “best of the best” in specialty recruiting and HR resources, has been a game changing differentiator for PACE in the local marketplace. To be awarded with the prestigious award giving bodies is both an honor and privilege to both the company and the employees. It only proves that the company is doing great on its field and the employees are exerting extra effort in doing their jobs. Congratulations and more power! Thank you so much! We appreciate it.